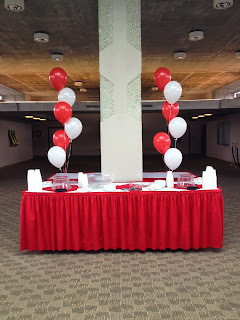 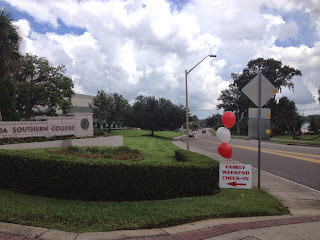 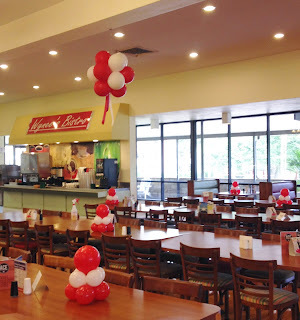 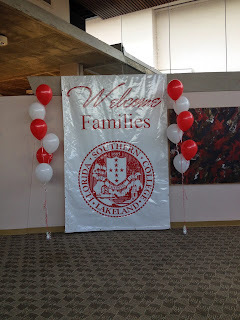 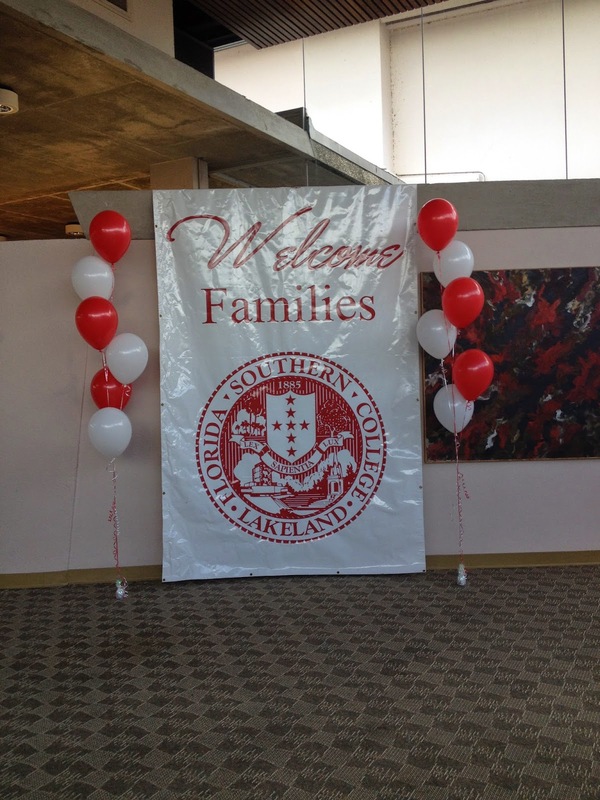 Party People Event Decorating Company: Florida Southern College Family weekend. 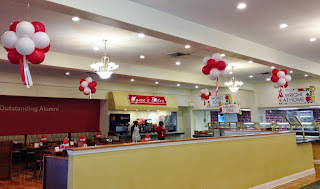 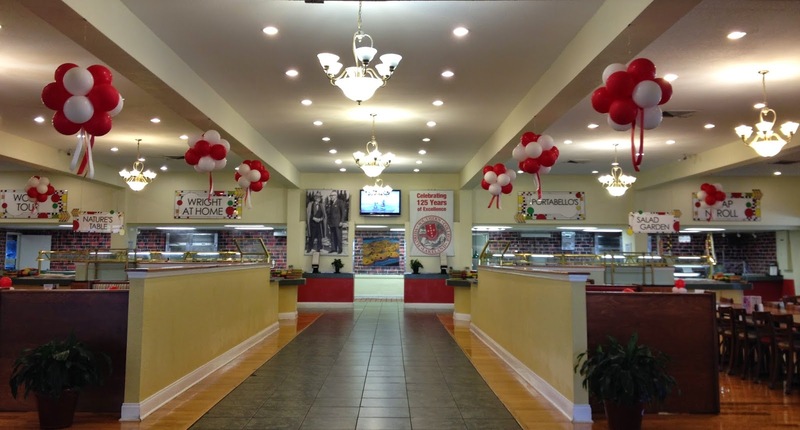 12 Topiary's with ribbon make the FSC Bistro Festive to celebrate family members attending the indoor picnic due to rain! 50 table top centerpieces bring in more color to make guest know it's a special day!